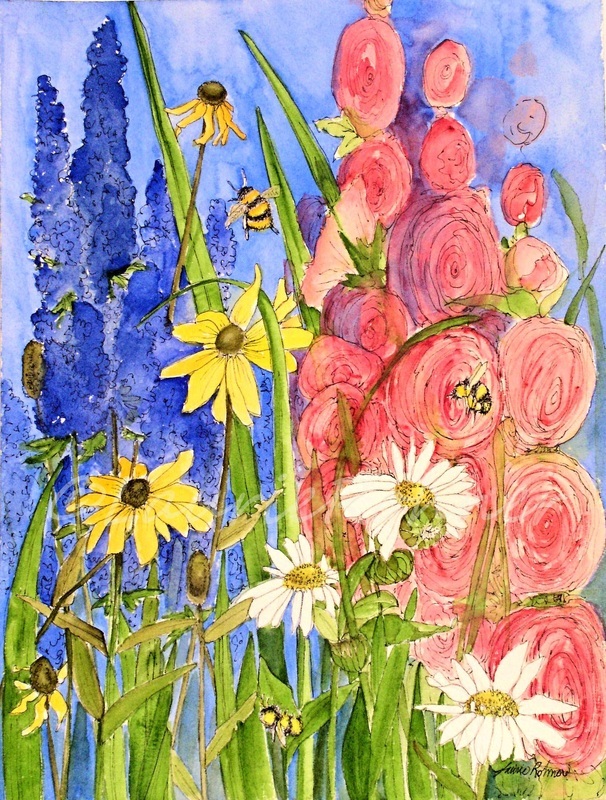 Cottage Garden I Watercolor Original Botanical Art Garden Vibrant Flower Painting by nature artist Laurie Rohner. 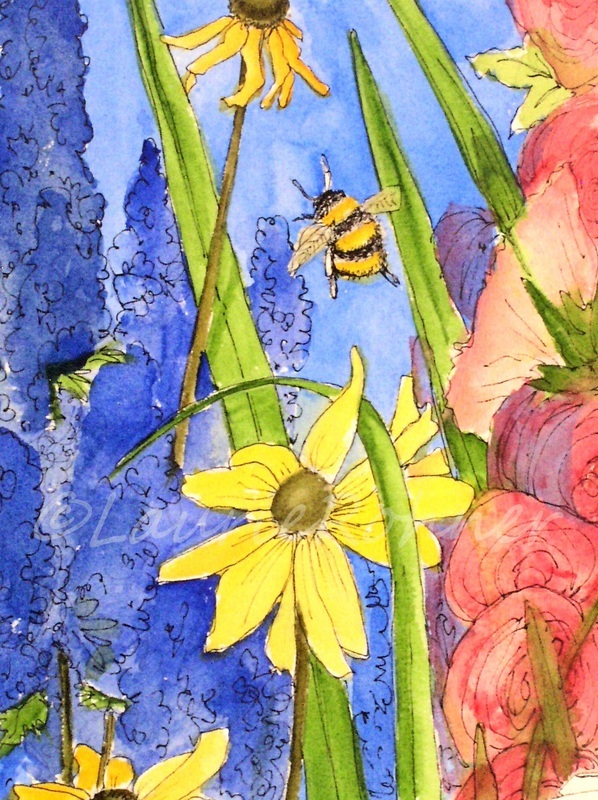 This is an original watercolor of garden flowers with bees is a botanical art painting. 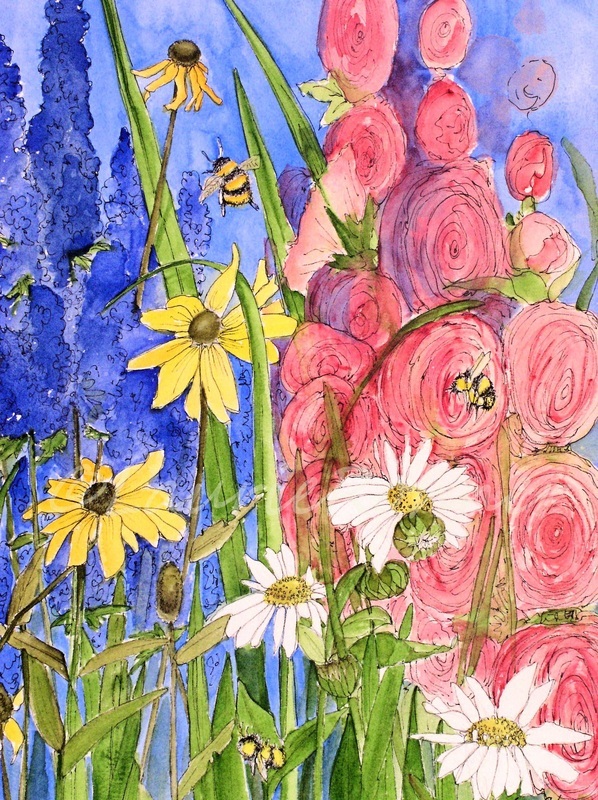 My botanical watercolor is vibrant with colors of blue, pink, yellow, white, purple flowers and works well with Cottage Garden II. Art by nature artist Laurie Rohner for Between The Weeds. 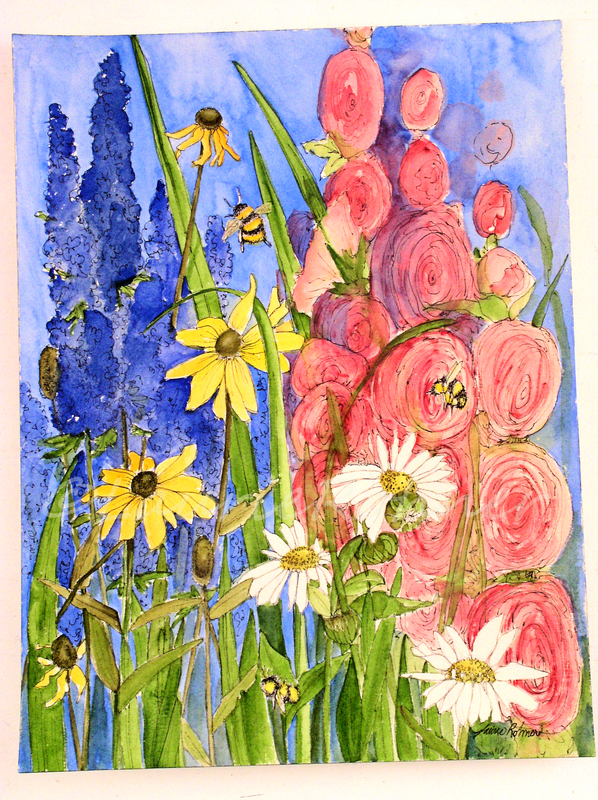 I chose daisies, hollyhocks, rudbeckia, delphinium for this painting of garden flowers with a few bees buzzing. Great way to keep the joy of a garden alive year long. Garden nature art is a whimsical original artwork and sure to bring joy to anyone in love with gardens.